For parents who are passionate about passing down their faith in Christ to their children. I remember the hectic days of preparing for pastoral ministry with my husband, Jeff. We were raising three teenagers at the time, and I worked full-time at Focus on the Family, which required a rather lengthy commute to and from our home each day. I was going to have to be creative if I wanted to have meaningful devotions/Bible reading with my kids before leaving for work in the mornings. I vividly remember the daily routine (fondly, now). Get up at the crack of dawn, exercise, shower before our two daughters “took over” the bathroom, and grab a quick breakfast (cereal has always been the Fletcher favorite). Somewhere during this time, I found a few moments to have my own personal time with God, and then out the door we went. While driving our daughters to school, I had them take turns reading a daily devotional in the car. Fast forward fifteen plus years…both of our daughters, now moms, have told me that this was a meaningful time in their spiritual development. My son-in-law once shared, his dad would never let him or his siblings leave for school until he had read the Bible/devotional with them at the breakfast table each morning. I am now seeing the results of making devotional time with God a high priority in our home(s) when our kids were growing up. Our daughters and their husbands now have meaningful devotions with their children (my grandchildren! ), sometimes on-the-go. Life is busy, but let’s remember…“you must think constantly about these commandments I am giving you today. 7 You must teach them to your children and talk about them when you are at home or out for a walk; at bedtime and the first thing in the morning” Deuteronomy 6:6-7 (TLB). For the past few weeks I’ve been cleaning my house. Not just a superficial cleaning, but a deep cleaning, similar to what my grandmother referred to as “fall cleaning.” Since we are preparing to sell our house, I want it to look it’s best for potential buyers. In addition to cleaning carpets, washing windows, and touching up a few spots with fresh paint, I’ve been decluttering. Although I’m not really a pack rat, I do tend to store things that I may someday use or need. Thus, I came across several of these items (size 6 clothing, unopened bath beads, an original Cabbage Patch doll….but definitely not my husband’s 80s turntable!) So…out they went. My most recent accomplishment was completed Labor Day weekend, as I cleaned under, behind, and around my washer and dryer. Now that my house is “really” clean, I’m not too sure I want to sell it. There’s something so refreshing about having a clean house. In keeping with my life’s passion, to intentionally pass down my faith in Christ to my family, I know I must do my very best to set an example of having a clean heart. It’s interesting that my daughters both keep a very clean house. I’m not sure how much credit I can take for this however, since their dad is really the “neat freak” in the family. All joking aside, I believe that our kids truly want us to set good examples for them to follow. With the most important example: living a life that pleases the Lord. Cobwebs (Webster): tangles of the silken threads of a spiderweb usually covered with accumulated dirt and dust. They intentionally go unnoticed, until I deep clean. Cobwebs could easily represent those things in my life that I hope no one ever notices–fear, unresolved conflict, insecurity, un-Christlike thoughts and attitudes. Of course, just when I think no one is noticing, the Holy Spirit brings them into the light. Now I have a choice to make, to ignore those disgusting (dirty) webs, or to knock them down, often one by one. The longer I ignore them, it seems as though they multiply. 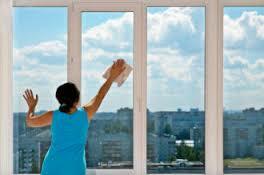 Washing Windows: It’s very important to use the right cleaning product, so not to leave behind streaks. Just like there are a wide variety of glass cleaners on the market, there are a lot of great Christian books, authored by fully devoted Christ followers available. Many of which I enjoy reading, especially when they pertain to living a life that pleases God. However, I thankfully discovered fairly early in my Christian walk, that the only product that truly keeps my life from becoming streaked with sin, leaving behind a film of dirt, is the Bible. Daily use is advised. “All Scripture is God-breathed and is useful for teaching, rebuking, correcting and training in righteousness, so that the man of God may be thoroughly equipped for every good work” (2 Timothy 3:16). 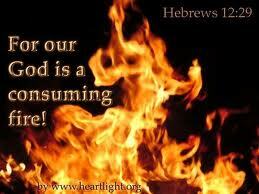 Similar to the self-cleaning oven, it takes God’s consuming fire to burn away the “dross” in our lives. Dross (Webster): the scum that forms on the surface of molten metal, waste or foreign matter : impurity. This definition sounds a lot like sin doesn’t it? Just shut the oven door and no one will see the mess. That is until I let it go too long. Now the residue of the spilled-over sweet potato begins to fill my kitchen with smoke, leaving behind a stinky burnt smell. This happens in our lives when we allow sin to build up in our hearts. Unconfessed sins such as gossip, jealousy, lies, impure thoughts, sexual immorality, selfishness, pride, hatred, and so on begin to leave a foul odor to those around us, and especially to God. Our God is a loving God, as well as a righteous God, not wanting anyone to perish or be separated from His love. But to receive and keep a clean heart, all of our idols (anything that we put ahead of God), must be openly revealed, so that He may purify us. The Bible says “If we confess our sins, God is faithful and just to forgive us our sins, and cleanse us from all unrighteousness” (1 John 1:9). God’s holy fire may bring judgement to the wicked, but His refining fire builds humility, faith and purity in those who seek a deeper relationship with Jesus. David, after attempting to cover up his sin of adultery and murder, cried out with godly sorrow and sincere repentance, “Create in me a pure heart, O God, and renew a steadfast spirit within me” (Psalm 51:10). The Apostle Paul, in his second letter to the Church of Corinth, admonishes all Christians to flee from anything that might keep them from being reconciled to God: “Since we have these promises, dear friends, let us purify ourselves from everything that contaminates body and spirit, perfecting holiness out of reverence for God” (2 Corinthians 7:1). Prayer for a Clean Heart: Dear God, please be a consuming fire in me. Burn off all that doesn’t look like your son Jesus. And as I surrender myself to you daily, create in me a pure heart. Forgive me, Father, for any sins (name them) that are in my life. Nothing is hidden from you; so I open my life up to you, to cleanse me from all impurities that separate me from you, God. I truly want to be an example to my family–of your love, grace, purity, and holiness. Concluding thoughts: While you are doing your fall house cleaning, let this journal entry be a reminder to declutter your life from anything that keeps you from loving and serving Jesus with a clean heart. And remember, from time to time, it will be necessary for God to turn up the heat….in order to do some deep cleaning. As important as it is for me to have a clean house for potential new buyers, it is so much more important for me to have a clean heart, where my Jesus resides. There’s something so refreshing about having a clean heart!